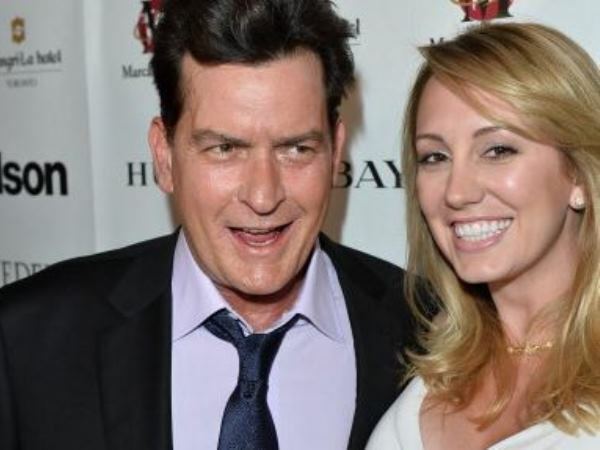 Did Charlie Sheen’s ex try to kill herself? Charlie Sheen’s ex-fiancée has reportedly been rushed to hospital. The Anger Management star broke off his engagement to Brett Rossi last month, just weeks before their scheduled wedding. It has now been claimed that over the past weekend, the former adult film star was found unresponsive at her home by a close friend and taken to A&E. The insider added Brett was taken to Cedars-Sinai Medical Center, where she allegedly had her stomach pumped before spending the night in an intensive care unit. While the blonde is rumoured to be recovering well from her ordeal, she is still struggling to come to terms with her split from the 49-year-old actor. Charlie announced on October 17 that they had decided to part ways before adding that Brett was a “terrific gal”. The former Two and a Half Men star has reached out to his former flame in her hour of need. His publicist Jeff Ballard confirmed Charlie had contacted her upon her release from hospital. The couple had been due to tie the knot on November 22 after becoming engaged in February. Charlie has been married three times before, most notably to actresses Denise Richards and Brooke Mueller.